From logo printing to complete, bespoke housing units, Flash UK can create a range of unique, branded USB sticks for your business. Whether you’re looking for a standard USB shape and design, or one of our other custom units, we can cater fully to your requirements. Incorporating branded USBs into your business’ brand image is an excellent way to impress existing and prospective customers, as it will add another level of synchronisation to your company. This really helps to unify your internal business communications also, which is important for an effective and productive work ethic amongst your team. 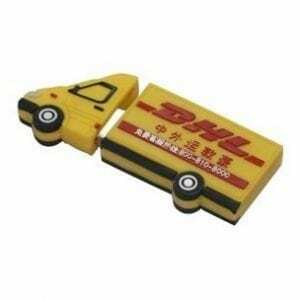 Take a selection of branded USB sticks along with you to make a lasting impression at your next business event. You’ve likely spent a lot of time perfecting your brand image, so opting for a personalised, branded USB from Flash UK is an excellent way to show this off, and there is no better place to do so than at your next business convention or networking event. Branded USBs also make excellent business gifts, either in goody bags at business shows or in our branded USB packaging sent directly out to customers. To enquire about our extensive range of branded flash drives, and our customisation options please get in touch today. Data loading is free of charge up to 1GB. After that there will be a small charge. Please ask. We can secure lock your data to keep it safe or so your customer is always reminded of you whenever they use the Flash Drive. Great news for all customers. Flashuk are now offering a lowest price guarantee*. If you get a quote then we will beat it and give you an even lower price, saving you money. Remember too we now don’t charge for delivery, saving you even more money! What more could you ask for.